Culture has unseen influence on our behavior. This post originally appeared on the Salesforce Blog. You can also read my latest Salesforce blog post, "How to Satisfy and Delight Your Customers." Camille was a guest service associate working in a hotel. She had natural service instincts and had received hospitality training. Despite her qualifications, Camille routinely provided poor service. Camille didn’t enjoy providing poor service. She felt terrible every time she did something she knew would disappoint or frustrate one of the hotel’s guests. But she did it anyway. Why would an intelligent and capable person work against their own instincts and values? The answer is corporate culture. Camille’s hotel had a toxic culture. Associates were disengaged. Management was ineffective. Guests were viewed with disdain. Going against this culture would cause Camille to be ostracized by her co-workers. Camille made the conscious decision to go along with the hotel’s cultural norms so she could get along with her co-workers. Research and practical experience suggests that most of us would do exactly what Camille did. Here’s an example from a simple exercise I’ve facilitated many times. I ask my audience to answer a few review questions that cover my presentation so far. They’re also told that a few additional tasks will be displayed on the screen while they’re answering the review questions. I emphasize that answering the review questions is the first priority but ask the audience to complete the additional tasks as well. Most people instantly stop what they’re doing to switch pens with another participant. Some people interrupt other participants and tell them “We’re supposed to switch pens.” Still others find their pen suddenly snatched from their hand by someone a bit too eager to complete the task. The exercise continues like this for several more minutes until the review questions are answered. No matter that I told them to prioritize answering the questions over completing the additional tasks. Participants consistently stop what they’re doing when each new task is displayed on the screen. They just can’t help themselves. Despite people’s initial intention to focus on the review questions, social pressure makes it almost impossible. Even the people who try to stay on task are verbally or even physically cajoled into doing the wrong thing. My little exercise is hardly new. Psychologist Solomon Ash ran a novel experiment in 1951 where he found that social pressure caused people to answer to simple question incorrectly. You can see an excellent re-enactment on YouTube. Customer service leaders can prevent social pressure from derailing customer service by setting clear expectations, actively encouraging good performance, and quickly correcting poor performance. I like to give participants a second try when I run the review question activity. This time, we cover set of behavioral expectations before we begin. For example, participants agree that they will ignore the additional tasks until they answer all of the questions. An interesting change occurs in round two. There is now social pressure to do the right thing. A few participants still can’t help themselves and stop what they’re doing whenever a new task appears on the screen. But this time around, it is much easier for other participants to ignore them since the majority of people are intently focused on answering the questions in line with our agreement. Some people even remind these over-eager participants that they’re supposed to be answering the review questions first. I interviewed Camille for my book, Service Failure, and included her story in a chapter called “Conformity is Contagious.” It was courageous of her to give an honest assessment of her work performance. It was also unusual to find someone like her because employees often aren’t aware that culture is influencing their behavior. Culture is often developed as groups of people co-develop social norms. These norms can be altered as new people join the team. A new employee might create a divisive atmosphere. That in turn might cause the team’s performance to drop. Good employees might leave and be replaced by more bad apples. Soon, service levels begin to decline. This leads to more angry customers which in turn makes everyone’s job even harder and less enjoyable. The unconscious impact of social norms was first discovered in 1935 by psychologist Muzafer Sherif. He conducted an experiment where people were placed in one end of a dark room with a tiny point of light displayed at the other end of the room. A phenomenon called the autokinetic effect makes the light appear to move even though it really isn’t. Subjects were asked to estimate how far the light had traveled. When acting alone, their estimates varied widely. When they were placed in a group, subjects quickly established a group norm. Interviews conducted after the experiment revealed that subjects weren’t aware that their perceptions were influenced by the other people in their group. 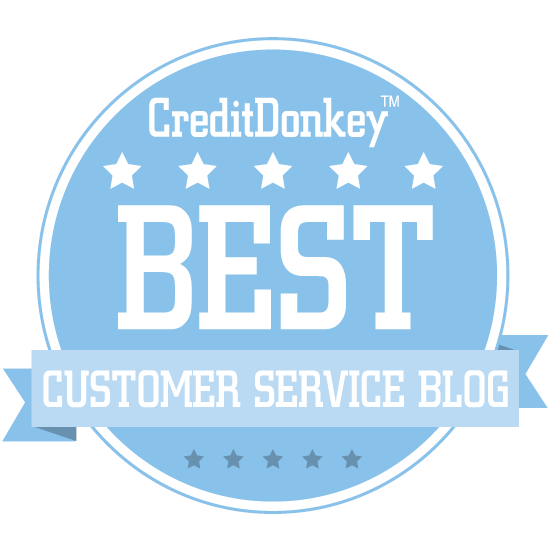 How do you ensure customer service teams develop positive social norms? The key is to be deliberate about the culture you want. Define it. Identify the types of behaviors that match and don’t match. Constantly support and reinforce these behaviors with employees. Recruiting: hire people who will be a positive influence. On-boarding: show new hires how to be a part of our culture. Development: remind employees of cultural values through regular training. Evaluation: include cultural alignment in the employee evaluation process. Exits: encourage employees to leave the organization if they don’t fit the culture. There was a happy ending to Camille’s story. She left the hotel with the toxic culture and joined another hotel. Her new employer had a culture that valued outstanding service and Camille felt much more comfortable. She fit in by being herself. People sometimes ask me if customer service skills come naturally or can they be acquired. I think Camille’s example proves it’s a bit of both. She had the natural skills to be great, but she had to be in the right environment to use them. Once she found that environment, Camille was able to build on the skills she already had and become even better at service. This post originally appeared on the Salesforce Blog. 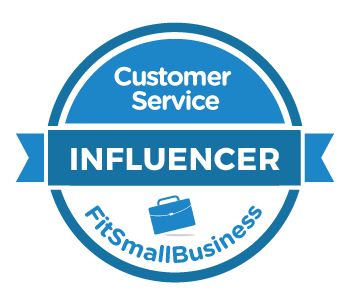 You can also read my latest Salesforce blog post, "The Hidden Influence of Excellent Customer Service." There are a lot of myths in customer service. There's the notion that the Net Promoter Score is only about asking one question (it’s not). There’s the popular saying that the customer is always right (they aren’t). There’s even an unspoken feeling that no complaints mean things are going well (not necessarily). Dive a little deeper and you’ll find it easy to debunk these myths. In fact, that last myth about complaints was neatly debunked in a recent post on the Salesforce blog. There’s still one myth that persists and it’s the biggest one of all: customer service is easy. It seems like nearly everyone believes this. Customers certainly do. They’re shocked when things go wrong, but never consider how they may have contributed to the problem. Every service failure story ever told starts with the assumption that the customer was pleasant, reasonable, and should have been easy to serve. I’m not saying customers are entirely to blame for poor service, but let’s not let them off the hook when they’re rude, unreasonable, or make an error. Managers ascribe to this myth, too. Many fail to define great service, provide adequate training, or even bother to discuss service with their employees on a regular basis. They are so consumed with putting out fires and keeping up with an avalanche of administration that proactively developing a customer-focused team becomes a low priority. Customer service consultants perpetuate this myth by doling out pithy advice that all sounds very common sense. They write blog posts on how to deal with angry customers in five easy steps while forgetting what it actually feels like to be yelled at by a total stranger. It seems oddly reasonable to this group that a customer service rep would absorb a profanity-laced tirade and then pull a card out of their wallet to remember the S.M.I.L.E. procedure for handling angry customers. Many employees have bought into this myth too. There’s a phenomenon called the Dunning-Kruger effect where the less knowledgeable or skilled you are at something, the more you overrate your ability. This holds true in customer service, where the worst performers will often loudly proclaim they’re the best. This effect is illustrated by a simple experiment I’ve repeated many times. I ask employees to rate their customer service ability on a scale of 1 – 5, with 5 being best. The average score is 4. Then, I ask them to rate the team’s customer service ability on the same scale. The average score is a 3. In other words, customer service employees consistently think they’re really good even though some of them are not. There’s something else about the Dunning-Kruger effect that’s interesting. Everybody overestimates their ability except for one group: the very best. The best underestimate their ability. The best customer service employees never give themselves a 5 when I do my little rating experiment because they think there’s room for improvement. That’s the secret shared by only the very best customer service employees, leaders, and companies. They know that customer service isn’t easy at all. It’s hard. They constantly worry whether they’ll be good enough and continuously try to get better. 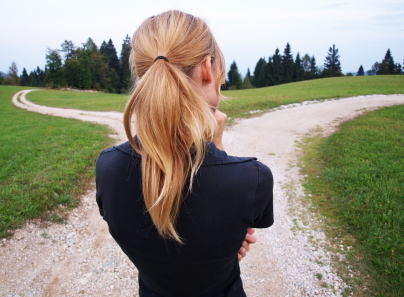 I recently asked a long-time client for advice I could share with new clients. They had improved their Net Promoter Score from 23 to 60 over a three year period. It was an impressive result and I wanted some of my new clients to be able to learn from their experience. That was it. I had been working with this client for three years and they still weren’t satisfied. Their exceptional improvement, glowing reputation, and stellar business results were a sign of excellent progress but not a final destination. They still worried about getting better. There was a long list of challenges to overcome and improvements to be made. My client understood that customer service isn’t easy. It takes a real commitment.